the most beautiful heart in the whole valley. A large crowd gathered and they all admired his heart for it was perfect. There was not a mark or a flaw in it. The young man looked at the old man’s heart and saw its state and laughed. I cherish, because they remind me of the love we shared. you see what true beauty really is? It fit, but not perfectly, as there were some jagged edges. than ever, since love from the old man’s heart flowed into his. But because of your hard and impenitent heart you are storing up wrath for yourself on the day of wrath when God’s righteous judgment will be revealed. 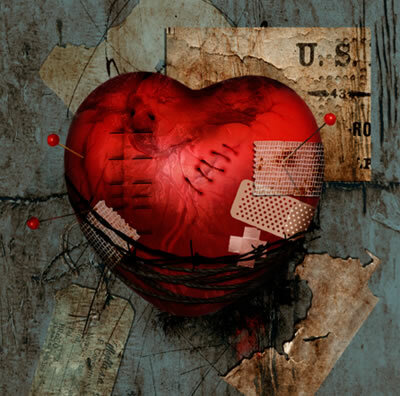 Where is your heart today??? Be Blessed and filled with His Love. Give a piece away. It won’t hurt, and the reward is from Him..